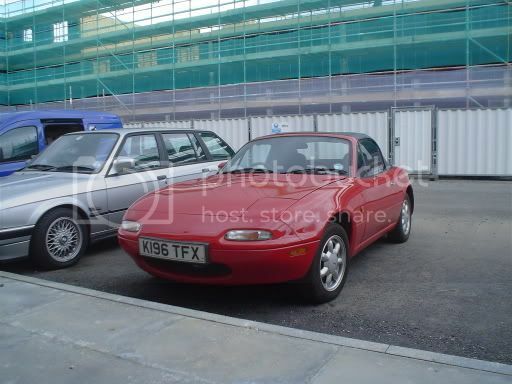 i just bought a red mk1 1.6 unseen off of ebay for the girlfriend ( dodgy i know, but i like a gamble ). 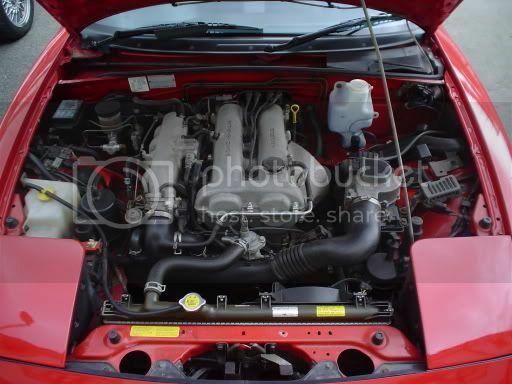 ive not yet given it a thorough looking over but it seems like a reasonable car for the money i got it for. drove it up from doncaster yesterday and a few things stood out. 1) it seems to have an impossibly short steering rack compared to anything else ive driven making it very twitchy until i got used to it....is this normal for mk1's? 2) there is a patch of rust on the offside sill at the back...looks nasty ......is it an expensive repair? 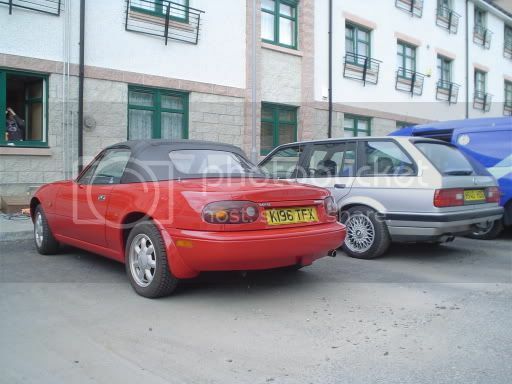 3) theres a scuffing/squeaking noise from the front somewhere....doesnt seem to be related to engine speed or brakes so i assume its a wheel bearing.....are these difficult to change on an mx-5? they are a killer on my e30. Hope you get your problems sorted out soon though and that they are not too big. as above and come to Alford so we can all "oooh and aaah"
yeh im a bit annoyed about the mirror ....i assume the local mazda stealership is the same as any other....overpriced, lethargic and generally uninterested? Is it just the retaining bolt youve snapped? its the bit that lets the mirror move around that has snapped off.